Cambridge University Press, 9780521839358, 434pp. 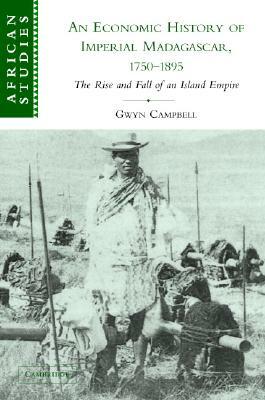 This comprehensive economic history of pre-colonial Madagascar examines the island's role in the burgeoning international economy and the rise of modern European imperialism. It reveals that the Merina of the Central Highlands attempted to found an island empire and, through the exploitation of its human and natural resources, develop the economic and military might to challenge British and French pretensions in the region. Ultimately, their failure (due to imperial forced labor policies and natural disasters) caused the nefarious consequences, attributed to external capitalist and French colonial policies.